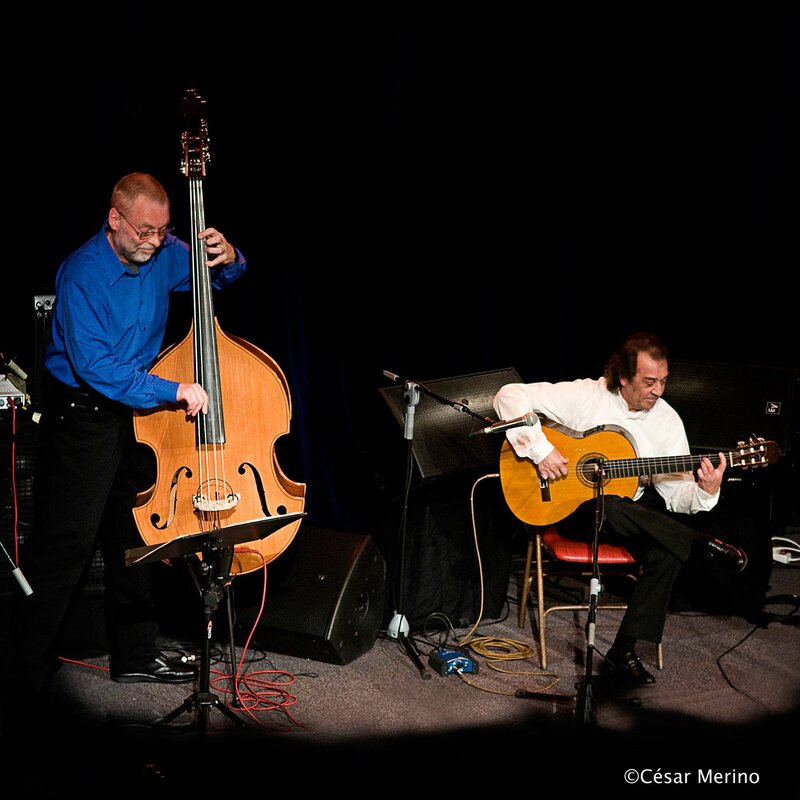 Pepe Habichuela, Josemi Carmona (guitar); Dave Holland (double bass); Bandolero, Juan Carmona; Bill Strode. In recent years, with his own quintet and big band, bass player Dave Holland has been making arguably the most exciting music of his already very impressive career. And now he is set to impress again with Spaniard Pepe Habichuela, this time in their new flamenco project. The mutual interest between jazz and flamenco has remained intense ever since Miles Davis' Sketches of Spain. Earlier in his musical career, Holland formed the quartet ScoLoHoFo together with the like-minded guitarist John Scofield, drummer Al Foster and saxophonist Joe Lovano. This was after Thelonious Monk and Miles Davis had asked him to play in their bands in his first years as a professional musician. At the time, this gave Holland an international reputation and his role in contemporary jazz still remains relevant. You can hear this on his recently released album Pathways. At the North Sea Jazz Festival this year, Holland and Habichuela and orchestra will be performing their flamenco project.